What, ho, curious blog-readers! So you would like to know a little bit more about the girl behind the blog? 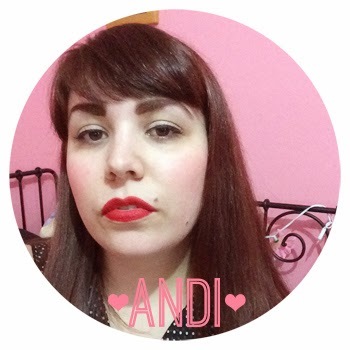 My name is Andrea but I generally go by Andi (B. Goode) online; I live near Adelaide, South Australia. I studied visual art (majoring in photography) and art history; I collect dolls, play ukulele and watch too much TV. My favourite food is pizza and I love movies maybe more than anything. I especially love film noir, musicals, old sci-fi, '80s/'90s teen movies...OK, I just love movies. I also love all things kitsch and colourful, but I enjoy the macabre side of life, too. This blog used to be a vintage (life)style blog but since my life has become less focussed on vintage, so has my blog. I still wear vintage but in a different way. Now you'll find posts on cosplay, my doll collecting and whatever I'm enjoying at the moment, as well as my outfits.